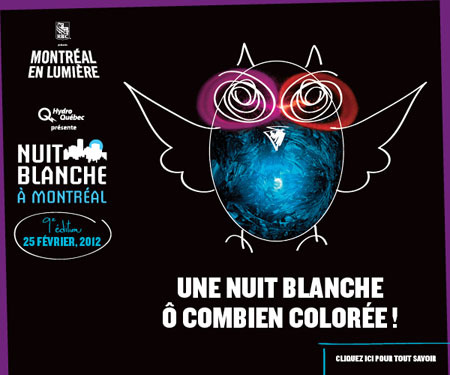 Don’t forget to check out the 9th edition of Nuit Blanche tomorrow! Activities for every interest: visual arts, cinema, tales/poetry/literature, dance, exhibitions, comedy, illumination, music, performances, sports, theater, Art Souterrain. Details at MONTRÉAL EN LUMIÈRE.